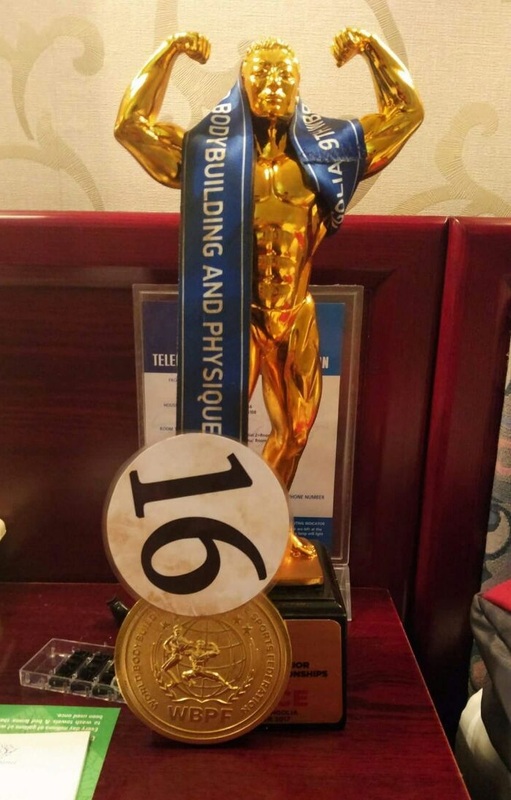 Imphal, October 6: Laitonjam Rishikanta has once again brought laurel for Manipur and India winning Gold in the 9th World Body Building and Physique Sports Championship held at Ulaanbaatar in Mongolia. He won in the 75 kg + category (Junior Open). This was Rishikanta’s first appearance in the world body building contest. He was also the winner in his first appearance in the Asian Body Building Championship held this August in the 70 kg + category (Junior Open). Rishikanta before leaving Imphal for the contest told Pothashang, “I love body building and I will strive for my motherland to bring laurels in Her name.” Now he has made it. He said, tears rolled on his cheek and remembers the obstacles in his struggles. Everyone in the state showers blessings for more win in the future after his success filled the air. Members of Prosperous Manipur, which has been supporting Rishikanta narrated the success story to Pothashang with joy and tears and couldn’t express their happiness in words when talked on the phone. Ngangbam Chandramani Singh, 81 who was a body builder and coach praised the effort of Rishikanta and expressed his desire to see his body and bless him for his long life and success in his future endeavor.